R. David Kaylor believes that Jesus' vision of a just society and his prophetic engagement with social, political, and economic conditions led to his execution by the Romans. Here, he presents Jesus' message of a just society based on Israel's covenant tradition. He shows the prophetic background and social content of Jesus' ethical teaching and demonstrates that the parables (especially those with economic and agricultural associations) critiqued the social conditions and called for a restructuring of community life. 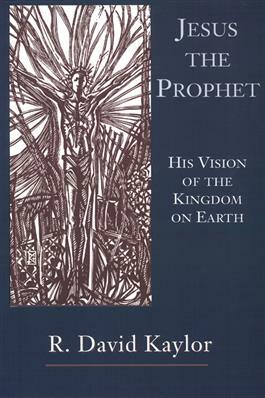 He provides evidence that Jesus' vision remains, offering criticism of the present and promise of a future.